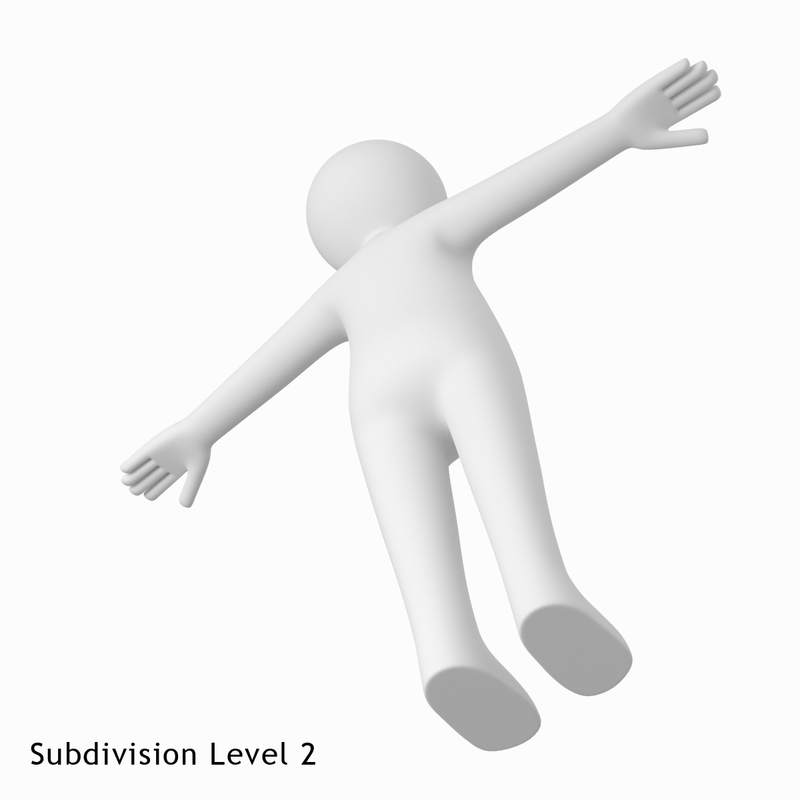 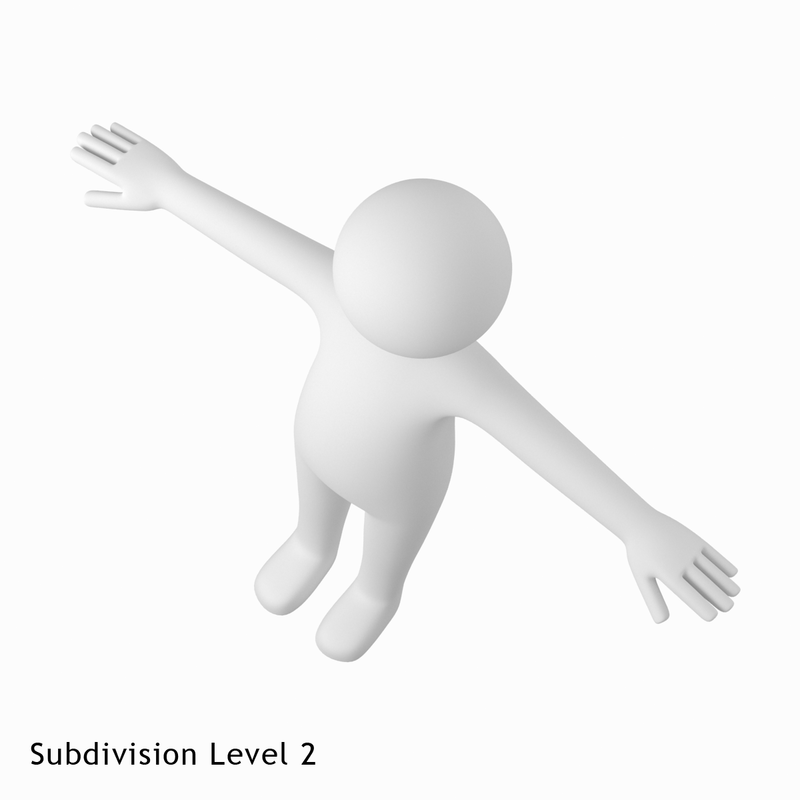 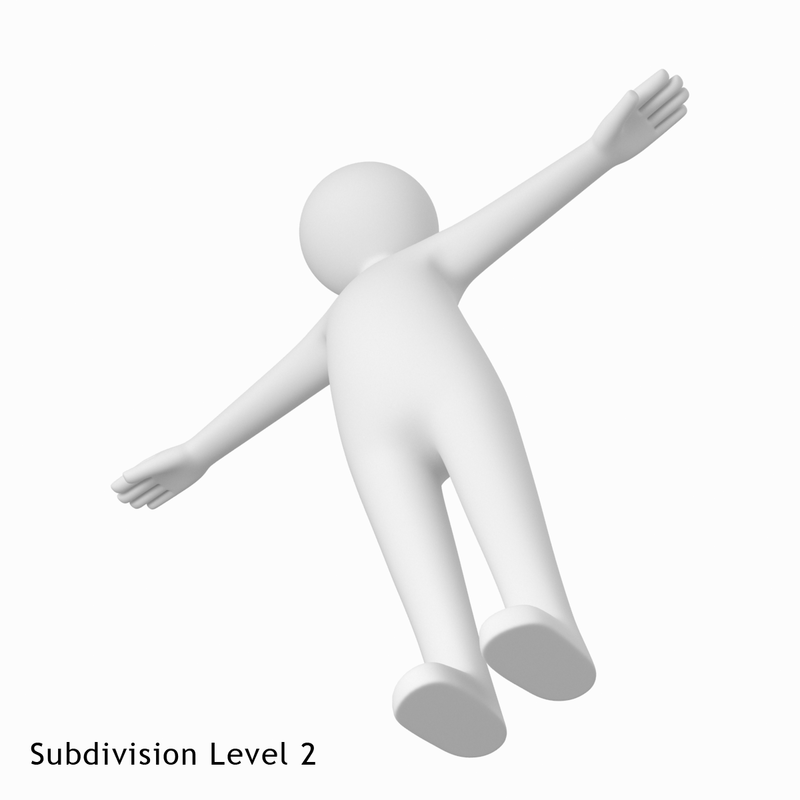 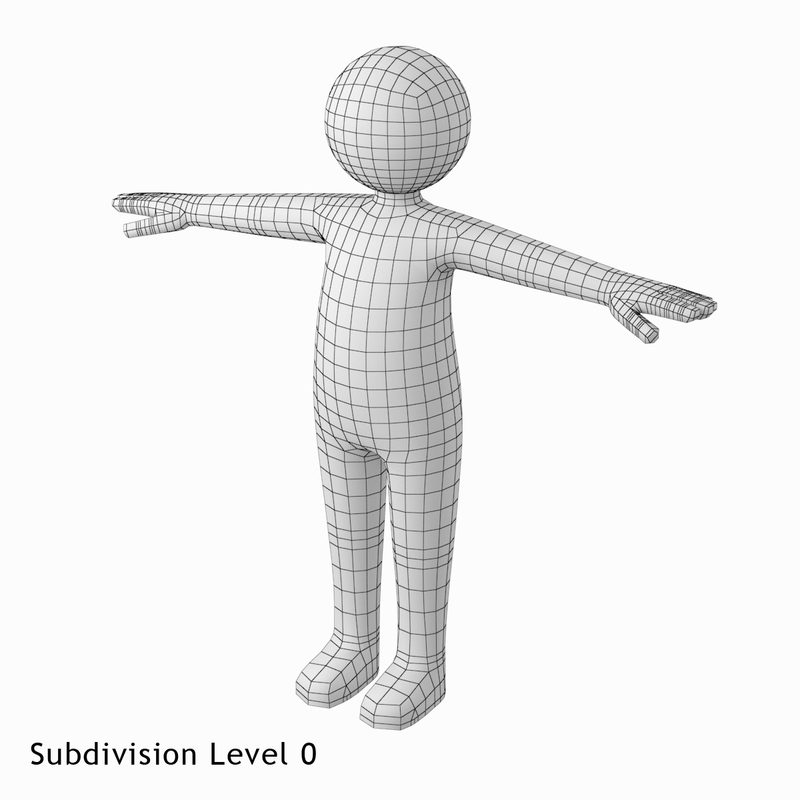 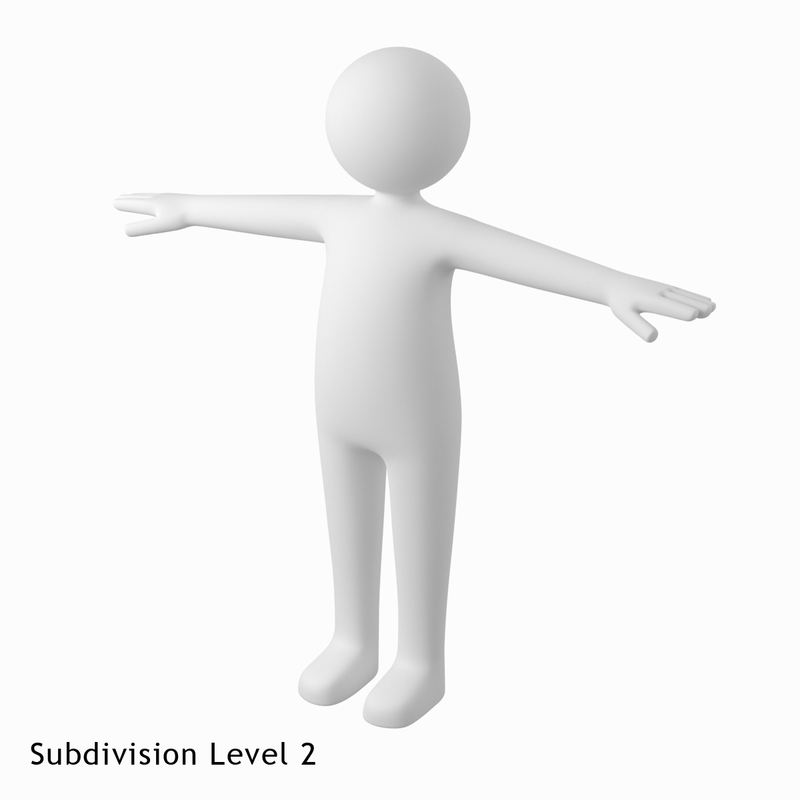 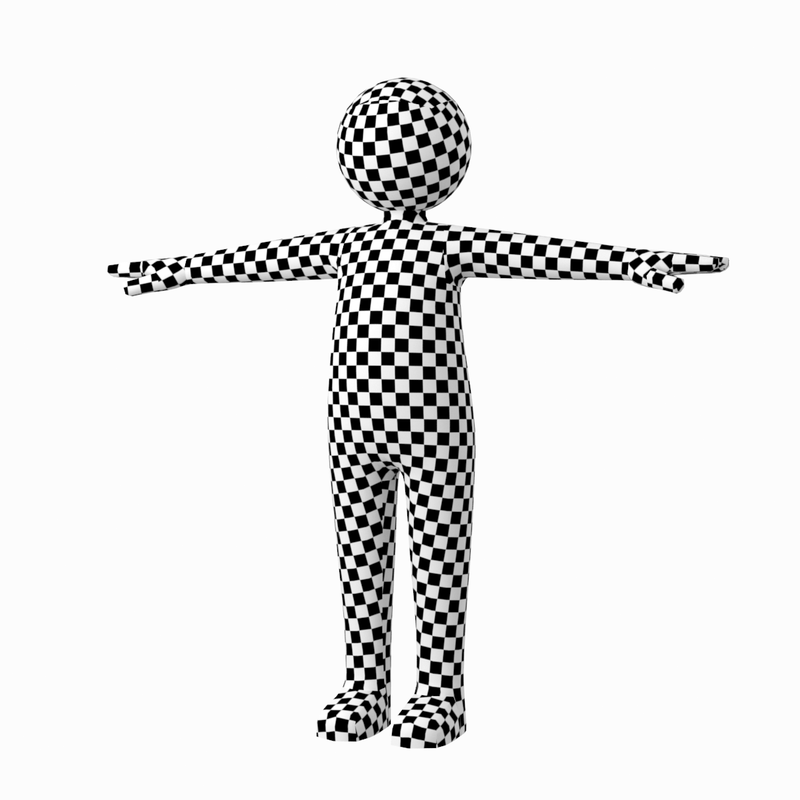 High quality low-poly 3D model of “Stickman” in a T-pose with body size of adult male human. 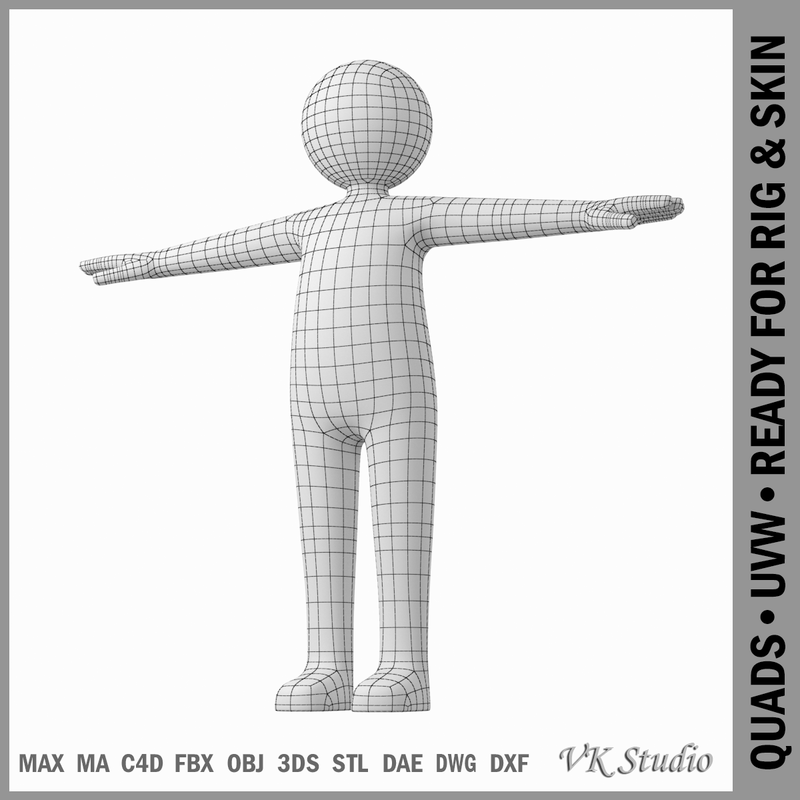 This model is completely ready for rigging and skinning workflow. 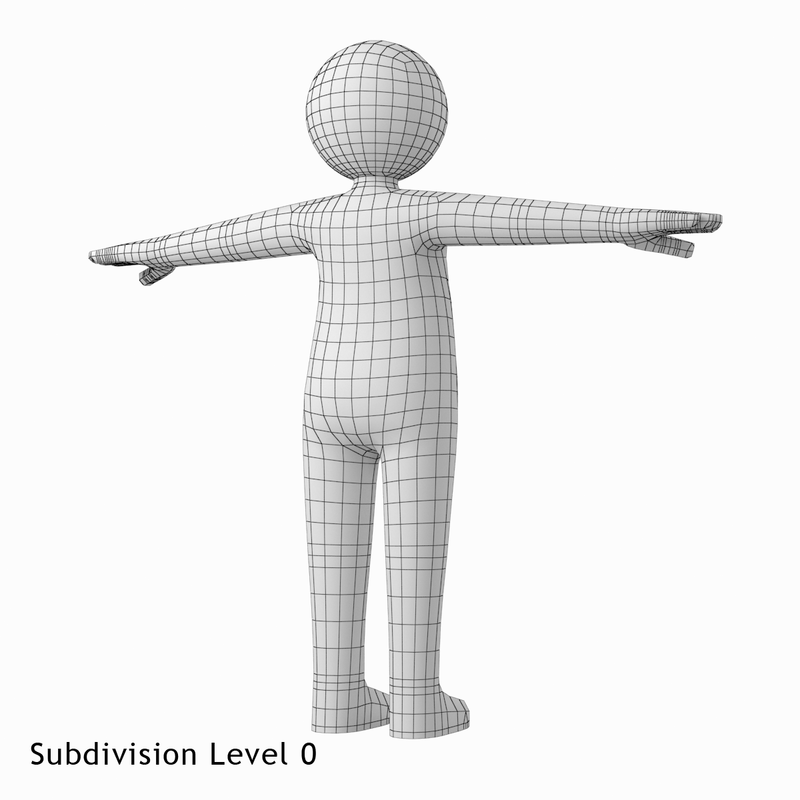 The model is UV-mapped, smoothable, 3D print ready, animation friendly. 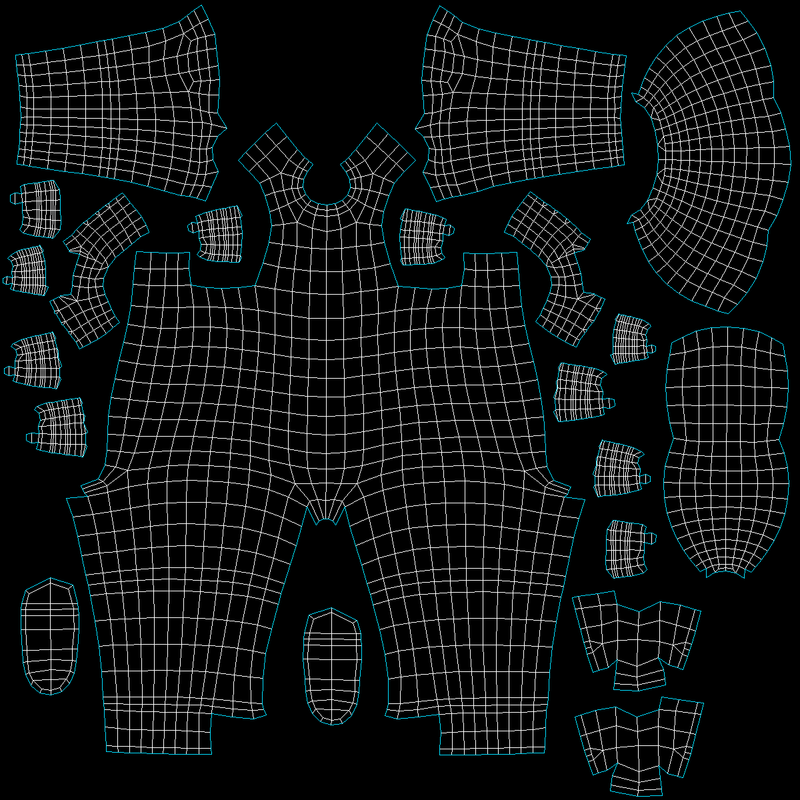 Clean topology is based on loops and quads. Model mesh meets the modern character animation requirements. Model base is at the World Origin (0,0) just above the grid. 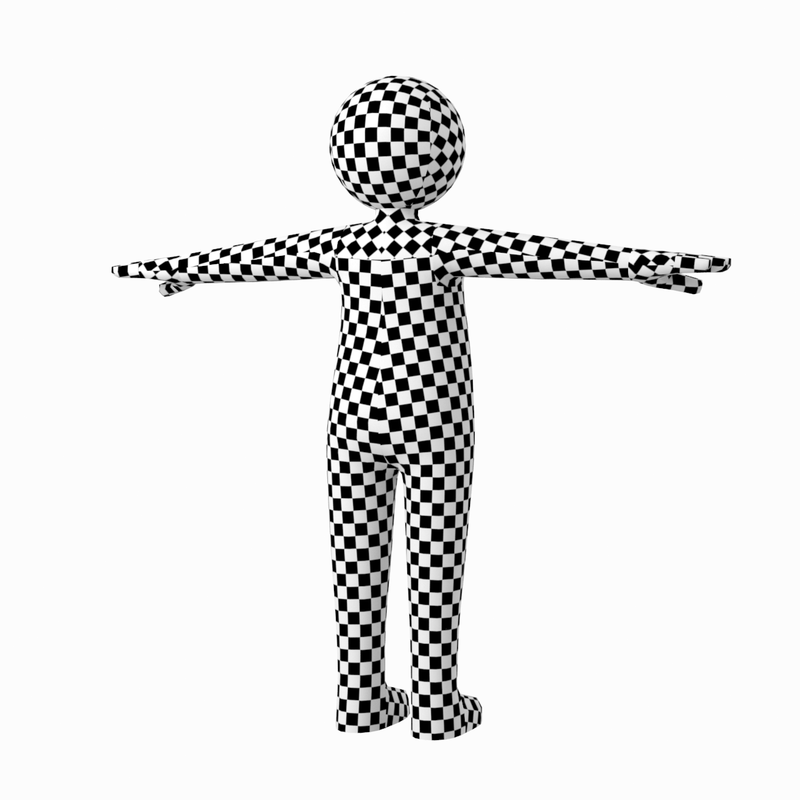 Model provides clean non-overlapping UVs.